I have been unfortunate enough to suffer 16 months of writer’s block. This wasn’t an issue after graduating from university, when I would scrawl novel ideas inside book covers, blog weekly, and I even wrote a radio play set around a dead dog in a suitcase. When I started full-time employment and then moved to Poplar, East London, on this very same day one year ago, however, I found myself struggling for words. I’m ashamed to say that the daily commute and city landscape got the better of me. Fortuitously, I have recently felt ready to write again. But write what? I was waiting impatiently for inspiration and, one day just a couple of weeks ago, it arrived in the form of 80 little penguins waddling excitedly through my imagination. 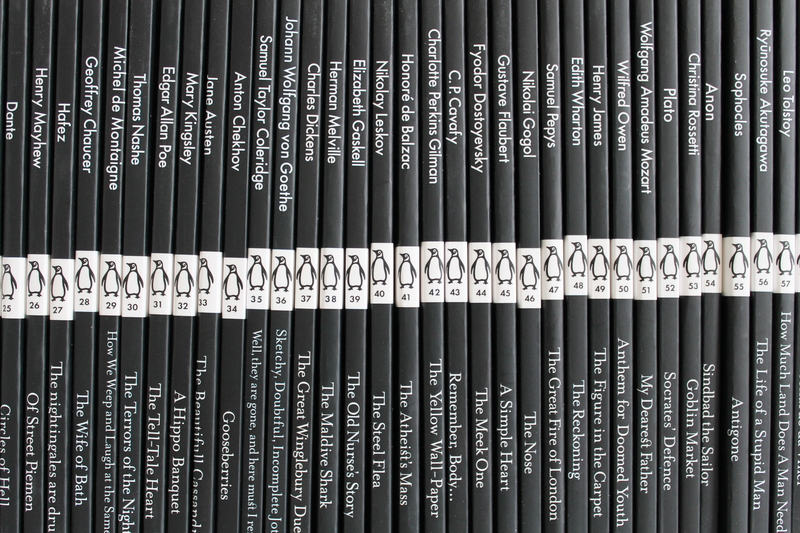 If you haven’t puzzled at the Underground posters or read about the series in your newspaper, Penguin Books have just published 80 Little Black Classics. At 80 pence a go, they celebrate the imprint’s 80 glorious years printing brilliant, varied and compelling fiction and non-fiction. These 80 carefully chosen classics include poems, essays, novellas and short stories. I’m rather excitingly, and rather overwhelmingly, going to work my way through all 80 classics and document the challenge in this fledgling blog. This will be no easy feat – I estimate it will take me two years. More specifically, after reading each classic, which will be chosen at random, I plan to grab my beloved camera and head out into the world with Penguin as my companion, leading me to pastures new. Essentially I intend to celebrate each classic by reading it and then doing something inspired by it before blogging about my experience. My friends and family would tell you that I am bit bookish and have been since I was a tiny, pushing my ladybird buggy filled with picture books around the house. I really fell in love with books through the classics (Dickens, Brontë, Hardy etc.) when I was a young teen, and naturally went on to study English literature at university. I’m now fortunate enough to be surrounded by books in my workplace and I even get to edit them! It really is rather marvellous. For those of you who aren’t particularly bookish, rest assured I don’t intend to make this blog too literary or wordy. I will be keeping my feet well and truly on the ground. 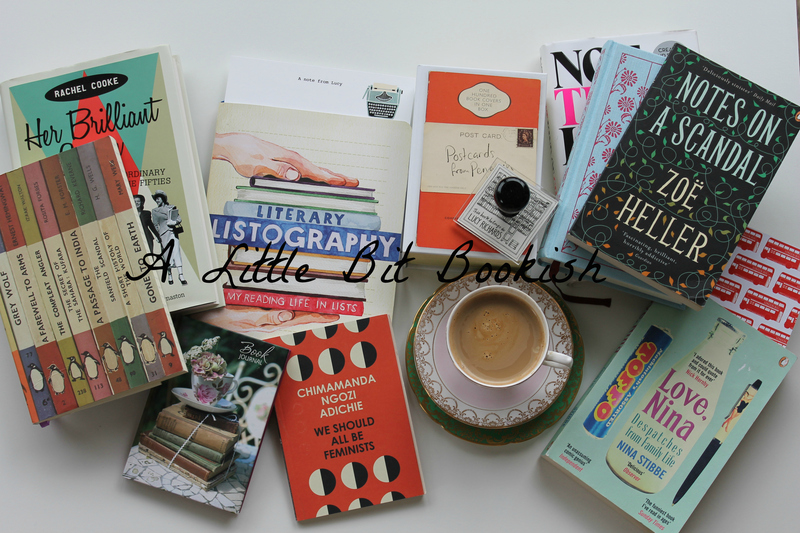 This blog is just a little bit bookish. Really, I’m just writing about a personal pilgrimage and rather hope that you might join me, whether that’s once a week, once a fortnight or once a month. So please bookmark me and drop in to say hello when you can. You can also keep up with me on Twitter and Instagram; see my contact page for more information. I’m off now to get my 80 new roommates nested in their new home. What a fabulous idea! So looking forward to following along with your bookish (and other!) adventures! At random – that is a bold move. But going by the photo, there is no wrong pick. Good luck! Thank you! 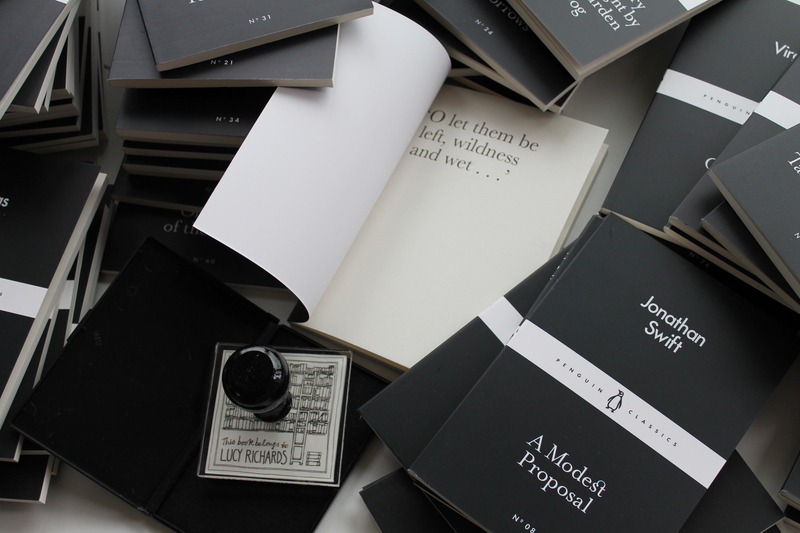 Will you reading any of the Little Black Classics series? I am sure I will read some of the texts, even if not in that specific format. I have been meaning to read Mary Kingsley’s Travels in West Africa, the source of that “Hippo Banquet” excerpt. As you move along, you will accumulate a nice long list of books to read. Also maybe a list of writers of whom a little taste was enough for a while, thank you very much. Looking forward to coming on this adventure with you! How exciting! Bon voyage for your literary journey. Look forward to reading more. I discovered your literary journey after seeing your tweet with all those beautiful little penguins chasing an owl across your bookshelf and I’m looking forward to following along. There are so many authors included in this collection that I’ve grown to love because of my own literary journey that I’ve been tempted to purchase more than a few for myself. Thanks Cristina! I’ve had a look at your blog and you’ve inspired me with lots of books to add to add to my forever growing ‘To Read’ list! Fingers crossed I will have time to read other books along side the Little Black Classics! Hopefully A Little Bit Bookish will help you choose which of the series to splash your cash on. How lovely, Lucy! Look forward to reading more as you wade through the classics. Thanks Shikha! Keep your eyes peeled on Sunday – I’m hopping to publish the first post then! Wow, Lucy – what a great idea. This is the first blog I’ve ever been tempted to follow… I look forward to reading your thoughts and seeing how you’ve been inspired. Thank you Christine! I’m very touched. Good news is I’m feeling inspired by the first read and I will be updating you all this weekend. All feedback is very welcome – your thoughts all matter!